Landrace seeds are considered the purest form of cannabis which makes sense since they originated in the wild and often evolved after centuries due to the sun and the climate, and, not to mention without interference from people! The cannabis seed market has grown exponentially in recent years and the urge and demand for a special genotype is increasing. Landraces largely originated in Pakistan and the Hindu kush and have spread over Asia, Russia, Africa, Jamaica etc. 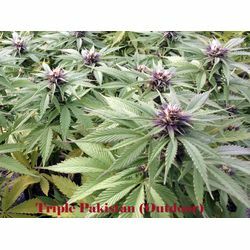 The landraces which are sold in sanniesshop are mostly crosses with pure landraces to get the plant suitable for breeding under lights, the pure form landrace is mentioned in the strain specification. The choice to purchase landrace cannabis seeds will mainly be to experience the gentics of these plants or to use them for a special purpose such as to obtain new genetics in the existing strains. Bringing in a landrace can give a huge boost to the offspring. Thanks to the new genetics, very special plants can emerge and new flavors and scents regularly emerge from them. Where do landrace seeds come from? 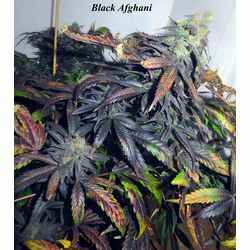 Landrace seeds originated in nature under the given circumstances and as such have developed into a variety that will grow and thrive best under those circumstances. Since the different landraces come from different places and different climates, they have also developed separately into a pure landrace. For example, Indica landraces originated in Afghanistan in the Hindu Kush and sativa landraces originated in Thailand and from central America the Panama originated and so various secluded places ensured that there are several pure landraces that have formed the basis of the cannabis plants we know today. In the 70s there was still plenty of cultivation with landrace strains but it soon became clear that the landrace strains could better be bred for a number of generations in order for them to grow better in a different climate or under light bulbs. By selecting the best performing plants for several generations and making seeds with these plants, you can generate stability in a number of generations. By crossing these plants with other genetics, the landrace hybrids that we know today were created. Thousands of cannabis strains are available today and the genetic link to the pure form is becoming increasingly distant.